This is another free cut form copper pendant. 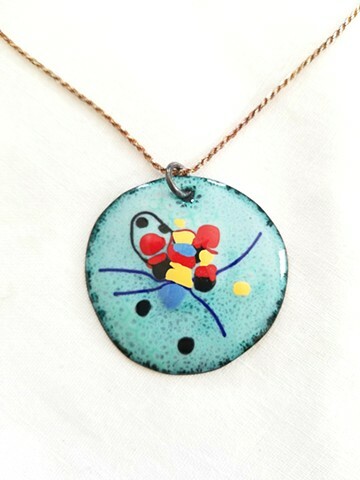 It is enameled and hanging on patinated sterling silver chain. The pendant is rather large, about 1 1/2".